Editor’s Note: The fourth season of the hit show Fixer Upper premiered on Nov. 29, 2016. 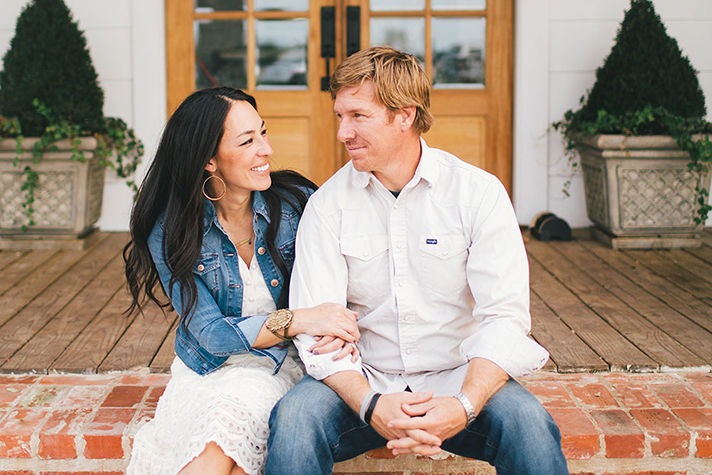 Around the same time, several online articles drew attention to the fact that the show’s stars, Chip and Joanna Gaines, attend a church where a biblical definition of marriage is preached. As the couple faces opposition, many in the Christian community are calling for prayer for Chip and Joanna as well as their church. Last year, the Gaineses took time to talk with BGEA about trusting God, and Chip explained how Billy Graham had an impact on his family’s faith in Christ. This article was originally published Oct. 29, 2015. Since it first aired, popular home improvement show Fixer Upper has garnered more than 24 million viewers, making it one of the highest-rated shows of its kind. As a result, husband-wife duo Chip and Joanna Gaines, the stars of the show, have cultivated quite the following. Chip’s sense of humor and Joanna’s impeccable eye for design are what attract this following. 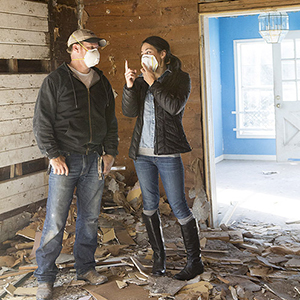 Chip and Joanna discuss a renovation on an episode of ‘Fixer Upper.’ Photo credit: woty.com (Wacoan of the Year). But the true foundation beneath each home they build or renovate is their faith. Chip’s faith journey can actually be traced back to a Billy Graham Crusade the year after he was born. “The impact that man has had on my life is immeasurable,” Chip said. In 1975, his mother, Gayle, attended a Billy Graham Crusade in Albuquerque. Rededicating her life to the Lord, Gayle was changed that night, and Billy Graham’s impact on her would cascade down to the rest of the family. “His simple sermons brought people from all denominations and churches; whenever they extended an invitation to believe, attendees would swarm to the front,” Chip said. While Billy Graham set the spiritual trajectory of Chip’s life, it was another Graham family member who personally mentored him in living out his faith: Danny Lotz, Billy Graham’s late son-in-law. As a young man, Chip—who attended Baylor University, as did Lotz’s three children—spent a week in the home of Danny and Anne Graham Lotz. Some years after his time with Danny Lotz, Chip married Joanna and they were expecting their second child when they sensed God asking them to close Magnolia Market—the home furnishings store they opened together—to focus on raising their children. 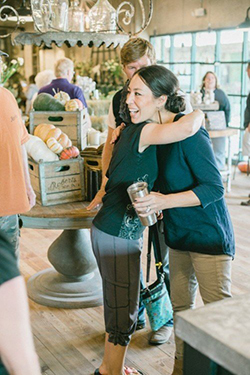 Joanna greets a shopper at their reopened Magnolia Market. Photo credit: Magnolia Homes. Joanna remembers feeling as though her dream was dying as they closed up shop on the last day. But more vividly than her sadness, she remembers the peace she felt when God reminded her—on that day—to simply trust Him with her dreams, and with Magnolia Market. “God taught me to study the Word and believe it, even when it hadn’t been fulfilled yet. I really had to cultivate a place of faith that I never had before. I had to trust Him as He would speak His promise to me,” she explained. Some time later, a production company heard about the Gaineses’ home renovation business and Joanna’s background in design—and the rest is history. And most importantly, God taught them to trust Him with everything—and to make Him their everything.